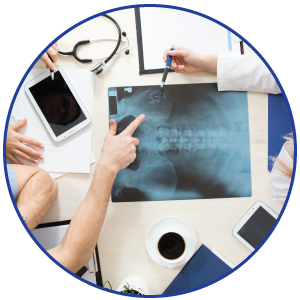 Salina Ortho provides bracing and durable medical equipment (DME) services at our main and satellite office locations. Our support staff provide expertise in fitting, application and maintenance of your bracing and equipment needs. Braces can assist you in your recovery from injury or surgery and can help protect you from further injury. 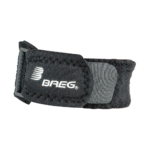 The Breg T-Scope Premier Post-Op Knee Brace provides protected and controlled range-of-motion for patients recovering from knee surgery or those who have knee injuries or instabilities. It is commonly used for ACL, PCL, MCL and LCL repairs and injuries, as well as meniscus and patella tendon repairs. The design is comfortable, lightweight and easily adjustable for a customized fit. 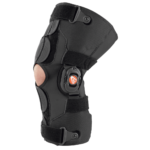 The Breg Tri-Panel Knee Immobilizer Brace offers a fully-adjustable design for various injuries and instabilities. 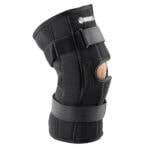 This brace is commonly used for ACL, PCL, MCL and LCL injuries, tibial plateau fractures, osteochondral, meniscal and patella tendon repairs. Sizing is universal and the brace is easy to put on with hook and loop fasteners. 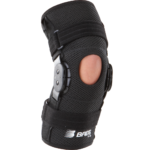 This unique brace provides offloading of the medial or lateral compartment for mild to moderate osteoarthritis. The comfortable and breathable design provides focused compression to address swelling and promote blood flow. 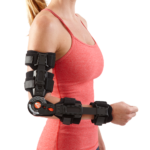 This brace comes in various sizes and offers an easy-to-use adjusting system. The RoadRunner Soft Knee Brace offers the same protection and benefits of the ShortRunner, but in a longer size. The ShortRunner Soft Knee Brace provides superior control and support for ligament injuries and instabilities. It can also be used for post-op treatment and mild osteoarthritis. 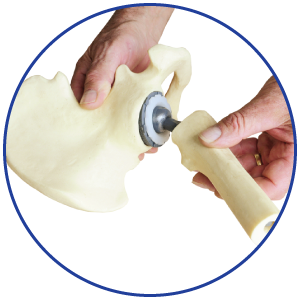 Flexion extension stops are adjustable for the patient’s needs and size options are available as well. The Economy Hinged Soft Knee Brace is designed for mild medial and lateral instabilities (MCL and LCL) or mild injuries to the ACL or PCL. 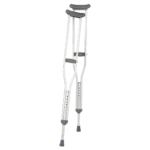 This brace features removable hinges that are contained in a pocket, making it a brace of choice for many contact activities with low loads. It comes in multiple sizes and offers high performance at a low cost. 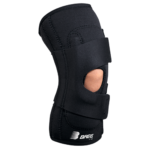 The Lateral Stabilizer with Hinge Soft Knee Brace is designed to address a number of patellofemoral conditions. 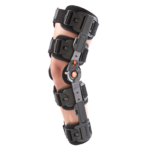 The brace is commonly used in cases of lateral patella subluxation, chronic patellar maltracking and mild chondromalacia. 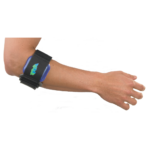 The Wrist Pro is available in 8’’ and 10’’ versions. 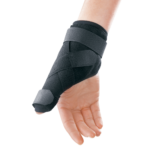 The brace is made of lightweight, durable foam laminate with a removable, malleable palmar stay that supports the wrist. 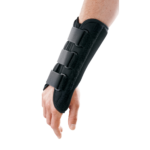 This brace is utilized for wrist sprains and strains, as well as carpal tunnel syndrome. 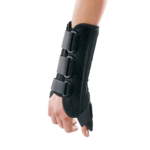 This brace is the same composition as the 8’’ Wrist Pro, featuring a thumb spica. It also includes a radial stay for thumb support. The Thumbster brace is a lightweight and low profile universal thumb support. It’s malleable, wrap around design gives it a unique custom fit. It can be used for relief from sprains, De Quervain’s syndrome, tendonitis, hyperextension and arthritis. The T Scope Elbow Premier Brace is designed for fixed or controlled range of motion in the treatment of ligamentous injuries and stable fractures of the elbow or upper arm. 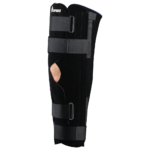 This brace is one of the most lightweight, low profile post-op elbow braces on the market. All of the aluminum bars, pads and straps can be adjusted for different arm sizes and any swelling or post-op bandages. 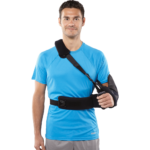 The Arc 2.0 Shoulder Brace is designed to fit every patient size in one adjustable brace. The aluminum waistband is moldable to your torso size and prevents the anterior migration common in shoulder braces. The 2.0 material moves moisture away from the skin and enables quick evaporation to prevent sweat. It is used for a variety of non-surgical and post-op conditions. 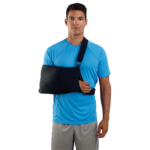 The Slingshot 2 Shoulder Brace features a comfortable, breathable AirmeshⓇ sling and a 15-degree abduction pillow. The shoulder and waist strap buckles make the brace easy to apply. It is useful in rotator cuff tears, along with other non-surgical and post-op shoulder conditions. 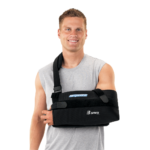 The Shure Shoulder Immobilizer is a deep envelope sling made of a breathable cotton material. It comfortably immobilizes the shoulder, and the thumb loop prevents migration. It can be used for any shoulder injuries or instabilities if appropriate. The Pediatric Sling 2 is a sized cotton sling that comes in a variety of colorful patterns. 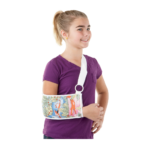 Its hook shoulder strap closure makes it easy to use for any child’s shoulder injuries or instabilities. 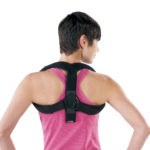 The Clavicle Brace is ideal support for clavicle fractures and postural problems. The fully padded foam straps and hook and loop closure allow easy adjustment and maximum comfort. The Genesis Full Shell Walker is the lightest full shell pneumatic walker on the market. The design uses a dynamic air chamber in the hell that absorbs the shock of heel strike. 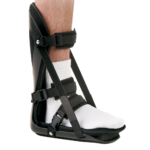 This brace is used for ankle sprains and strains, forefoot sprains, stable foot fractures and distal tibial fractures. The J Walker Plus is an economical option with all the basic features of a boot. 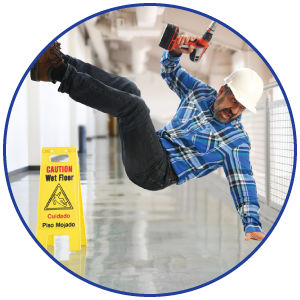 Foam and a pneumatic quick-pump liner offer comfort and cushioning. 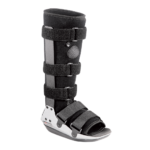 This boot is commonly used for ankle sprains and strains, forefoot sprains, stable foot fractures and distal tibial fractures. The Wee Walker is the original child’s walker boot. Various sizes allow it to accommodate children as young as one year. 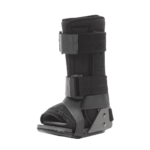 This boot will address sprains and strains of the ankle and foot, as well as Sever’s Disease. 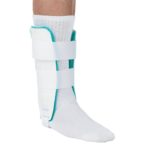 The Wraptor Ankle Stabilizer is utilized for chronic and acute ankle sprains and protective sportswear, among other things. The figure 8 strapping design mimics traditional taping without gapping. The KoolAir Ankle Stirrup helps support and protect unstable or injured ankles. It uses an air and gel bladder to provide rigid support and compression, with the option of cold therapy. Common uses for the brace include plantar fasciitis and achilles tendonitis treatment, as well as general heel pain. 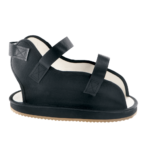 The Darco MedSurg Post-Op Shoe provides foot protection in post-op and post trauma applications. 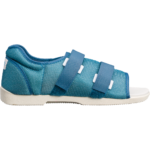 The reinforced padded heel and breathable mesh upper make this brace functional and comfortable. 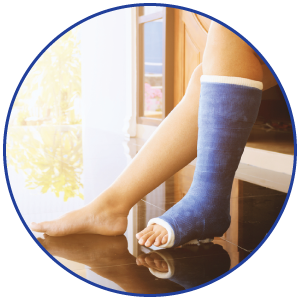 The Cast Boot is designed for cast protection in lower leg fractures. The durable canvas construction with a non-slip sole offer the protection and practicality needed. 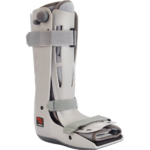 The Pediatric Cast Boot is designed for cast protection in lower leg fractures. The slip resistant rocker sole provides a more natural gait for children during rehabilitation. The heel strap allows for ease of application. 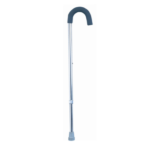 Breg’s Push Button Cane is made of lightweight aluminum with vinyl handgrips that provide comfortable assistance with balance. The cane adjusts from 30’’ to 39’’. It’s curved handle allows users to hook the cane over their arm while performing tasks. Breg’s Push Button Crutches are constructed of lightweight aluminum with comfortable underarm pads and foam handgrips. They are offered in 3 different sizes with heights ranging 4’6’’-5’2’’, 5’2’’-5’10’’, and 5’10’’-6’6’’. 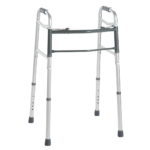 The Folding Walker is made from lightweight aluminum with comfortable, contoured vinyl handgrips. 5’’ wheels can be ordered as an accessory for increased mobility. This walker folds up easily so it can be transported with you wherever you need. 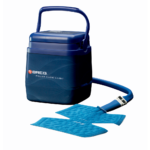 The Polar Care Cube Cold Therapy is a simple and reliable system good for clinic, hospital and home use. The system can offer up to 6-8 hours of motorized cold therapy, dependent on doctor’s orders.